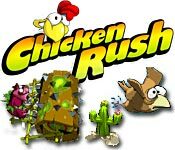 Chicken Rush is rated 3.7 out of 5 by 3. Rated 5 out of 5 by amyechandler from Hilarious and challenging This game is fast-paced fun and does not disappoint! You are the chicken, defending your desert territory. Just plain fun, and plenty challenging. Rated 5 out of 5 by scboxer28 from Chicken Version of Atari Centipede! I'm old school and this reminds me of when I wasn't yet...playing Atari Centipede in the arcade. Rated 1 out of 5 by hrhqoroses from I don't think I've ever played less than two minutes before... Apparently I still have 59 minutes left in my trial of this game -- verdict: Awful. This is a very basic arcade/shooter type of game where you play a chicken with a gun, shooting purple baddies. The instructions tell you to shoot these enemies, and that you can "coin farm" by shooting the cacti ever-present on each level. 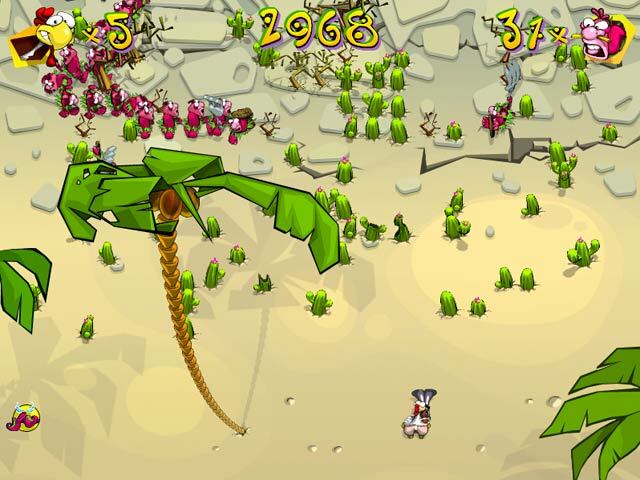 The baddies journey left and right across the screen until they hit an obstacle, then they move one row down. (The objective is that you shoot ALL of them before they cross the line on the bottom). 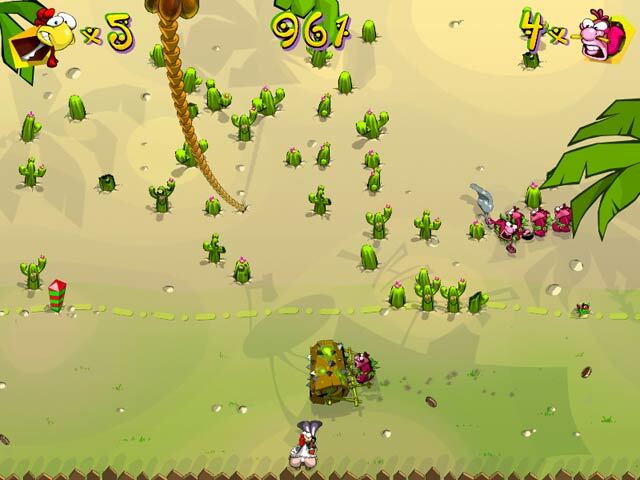 Well, every time you shoot an enemy, he turns into a cactus... a cactus which makes all of the following baddies move down! This game is made even more difficult by a steamroller that tries to kill your character by moving across the screen in your "safe zone." (This steamroller take up fully half the width of the zone). 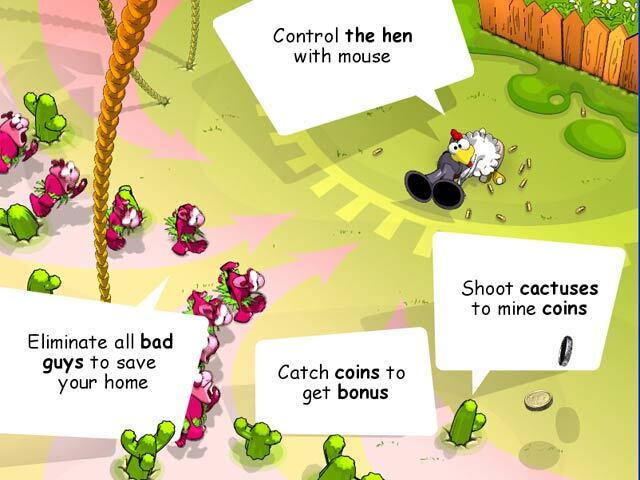 Oh... and even if you manage to shoot a cactus, (and it takes several shots), you ONLY get a coin if it's a gold cactus! Disappointing and VERY frustrating. Unless you are EXTREMELY bored today, give this one a miss.